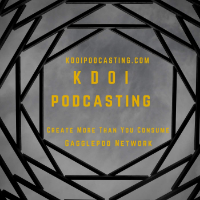 Welcome to KDOI Podcasting where we create more than we consume. Interviewing artists on what drives them, projects that are imexpensive and quick to accomplish and conversations about art is what you will find here. Let us know the story behind your creations. A Film Talk Podcast where you can talk about movies with best good buddies!